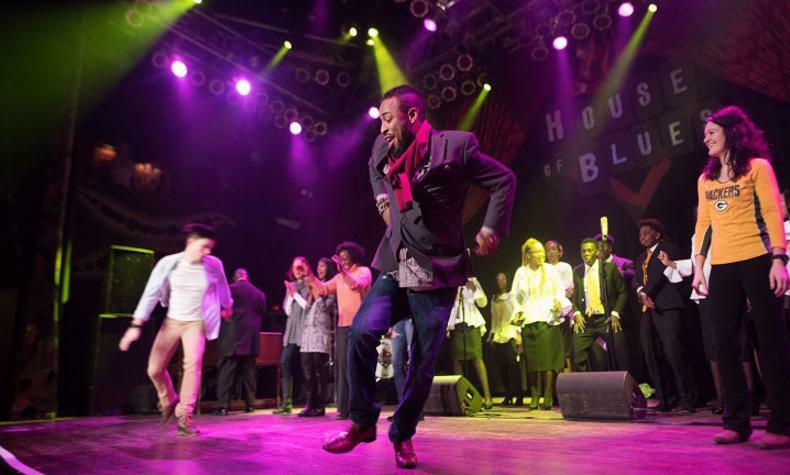 House of Blues Gospel Brunch has been a staple of Sunday morning family entertainment around the country for over two decades. House of Blues has reinvented the renowned dining entertaining experience with even more spectacular interactive energy and excitement. Guests are treated to an uplifting live music and dining spectacle that will bring them to their feet, have them clapping, singing and creating unforgettable memories. The all-you-can-eat Gospel Brunch is a non-denominational, participative celebration of gospel music to help wipe away the week's troubles and inspire the week ahead. With a buffet menu that is ever-evolving, it features southern specialties and morning feast favorites such as cornbread muffins and maple butter, Creole chicken and shrimp jambalaya, chicken and waffles, carving stations, plus create-your-own Bloody Mary and mimosa bars.